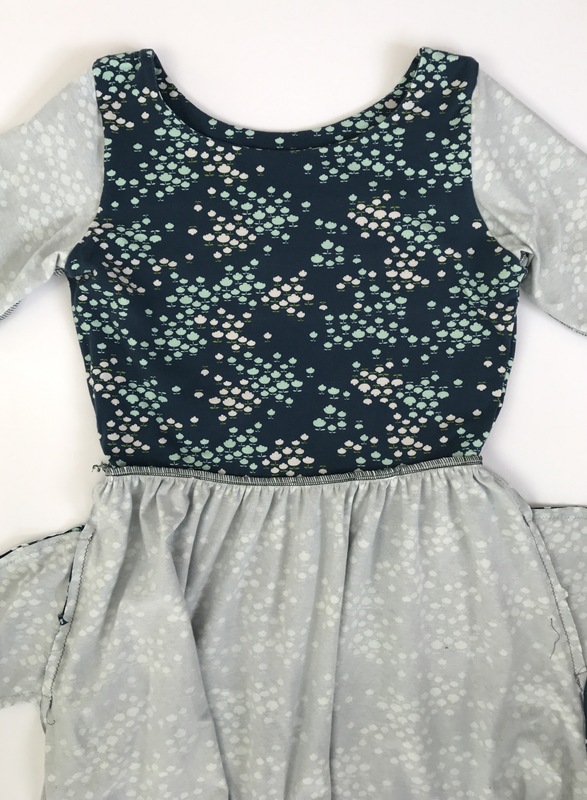 Today I will be going through how to sew the elastic waist band for the Colette Monetary dress. This technique is often seen as difficult or frustrating, but I personally think that when you get the hang of it you will find it really satisfying, and dare I say it, fun. I am using 9mm clear elastic, which you can get from Guthrie and Ghani. Fabric I am using for this post is Art Gallery jersey, which was kindly gifted by Minerva Crafts. 1. 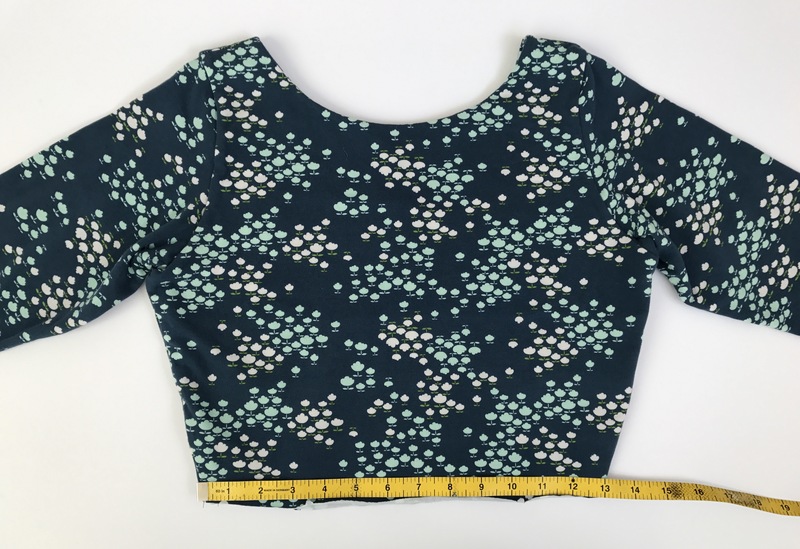 Measure the bottom of the bodice. 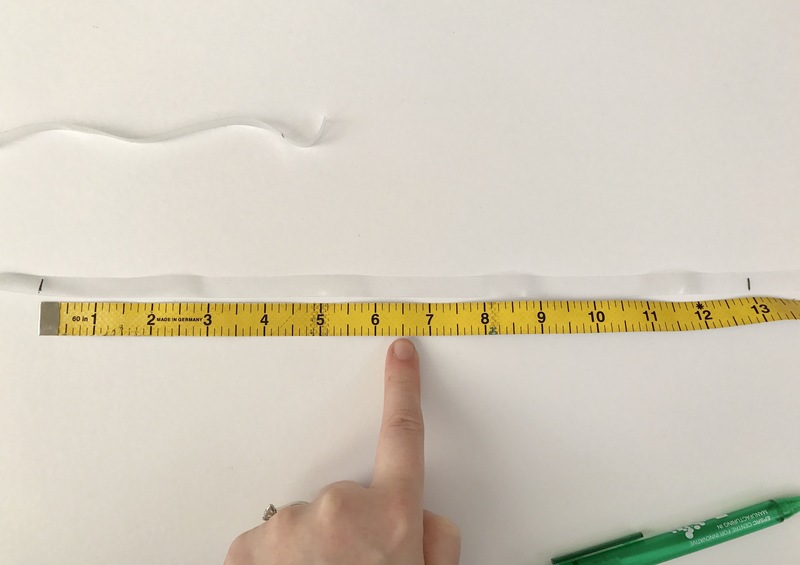 This will determine how long the elastic will be. 2. 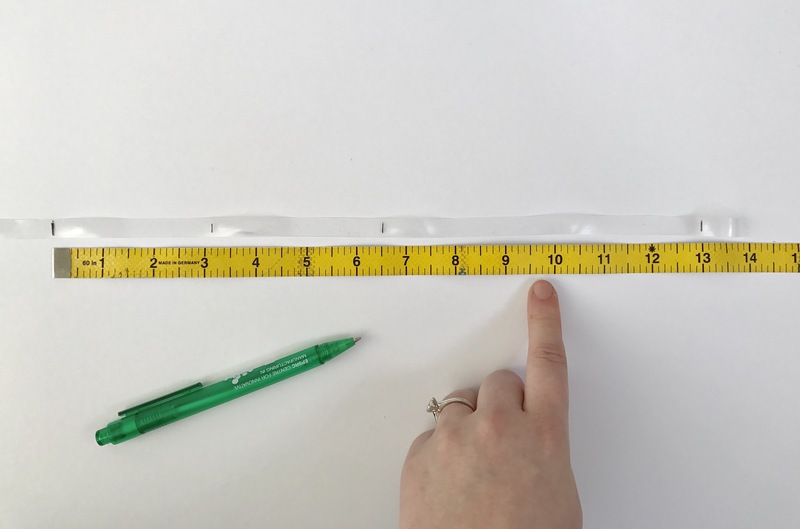 Mark the elastic approximately 1″ away from the end. (This will help to handle the elastic in the later steps. 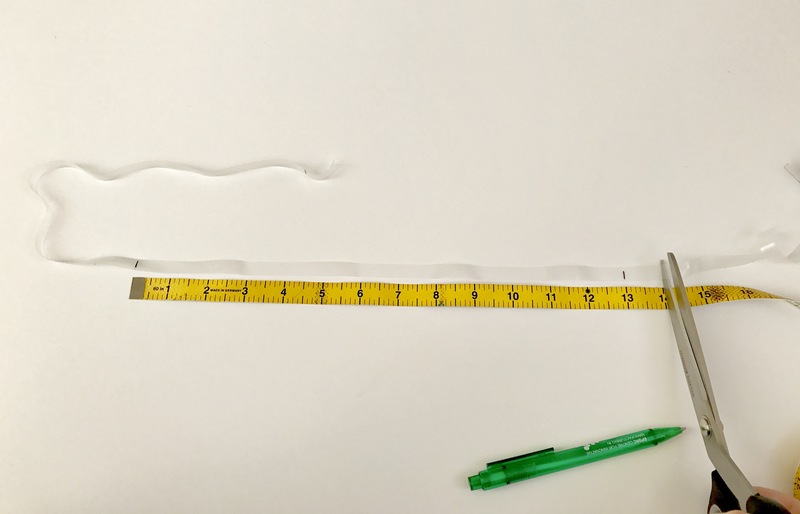 Leave more length if you find it easier to handle). 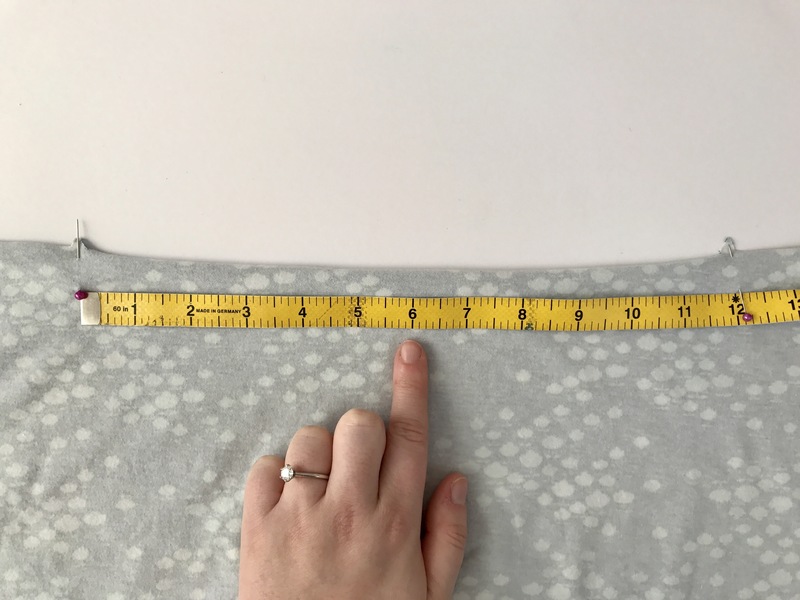 Measure the elastic to the width of the bodice (for me this is 13″) and make a marking. 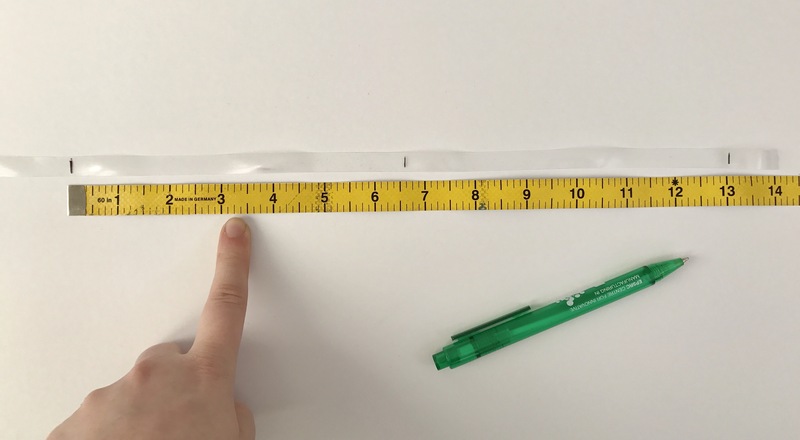 Measure another length of the bodice and make a marking. Your elastic will now be 2x the bodice width. 3. Mark the elastic half way in between the current markings (for me this is at 6 1/2″). Repeat for both halves. 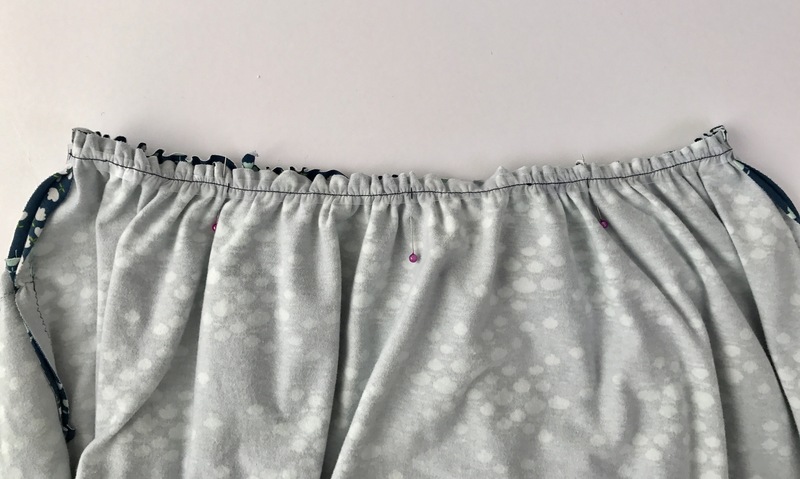 The more points you mark on the elastic means more control when stretching and sewing. While in the Moneta instruction booklet it says the markings we now have are enough, I suggest doing more. It makes life so much easier. For this I have halved the sections again, so for my case each section is now 3 1/4″ (resulting in 9 markings/ 8 sections), but this can be halved again for even more control (16 sections). 4. Now we need to mark the skirt on the wrong side. I have put pins in to highlight where the notions are. Measure between the two notions and mark using a pin. Repeat on the other side of the skirt. 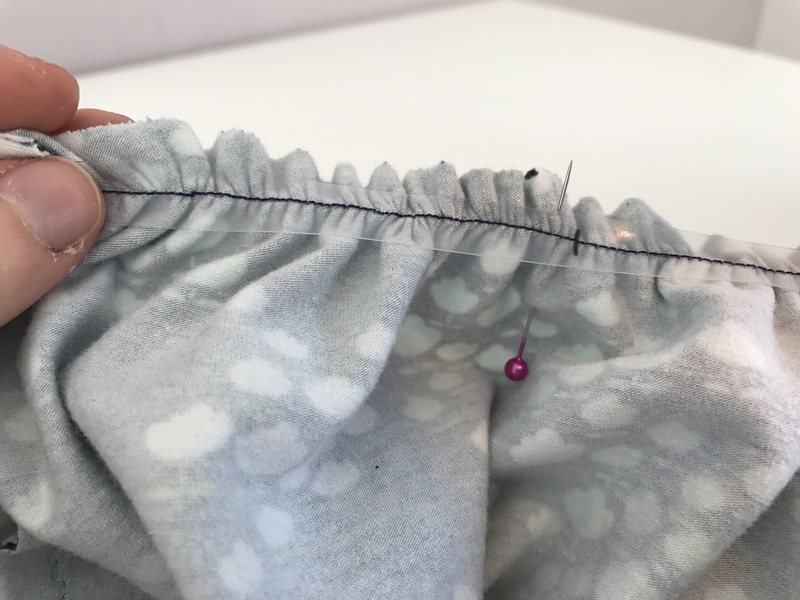 If you have divided the elastic into 16 sections, then halve the skirt sections again and mark with pins. 5. 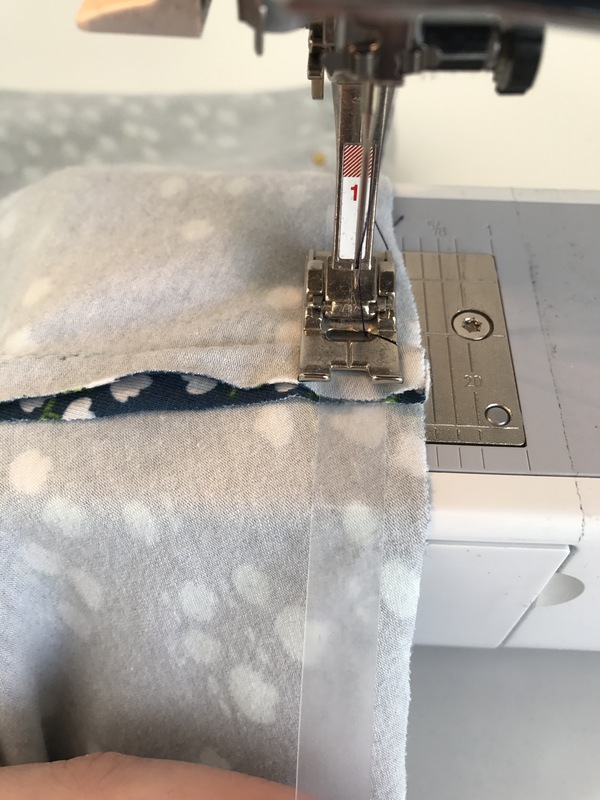 Set the sewing machine to the longest straight stitch. Face the skirt side seams to the skirt front and line the first marking on the elastic to this side seam. 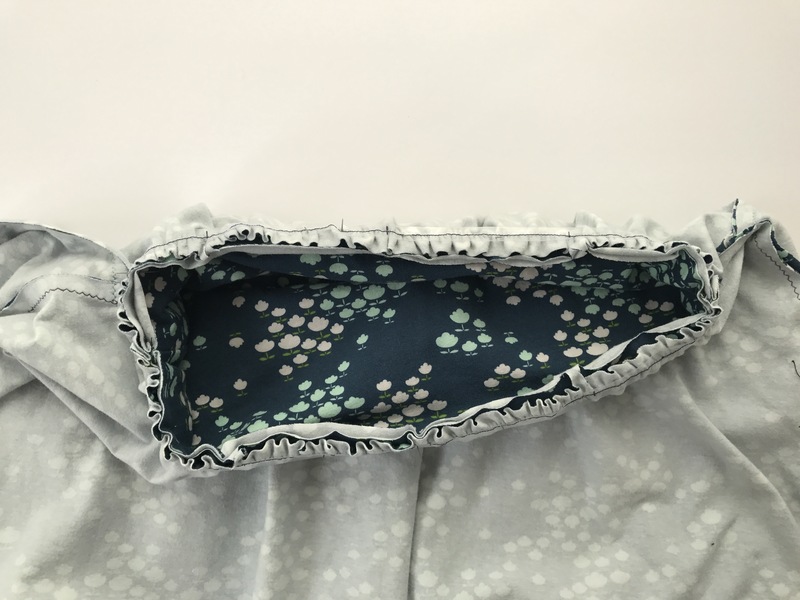 If you find it easier, in the elastic to the side seam. 6. 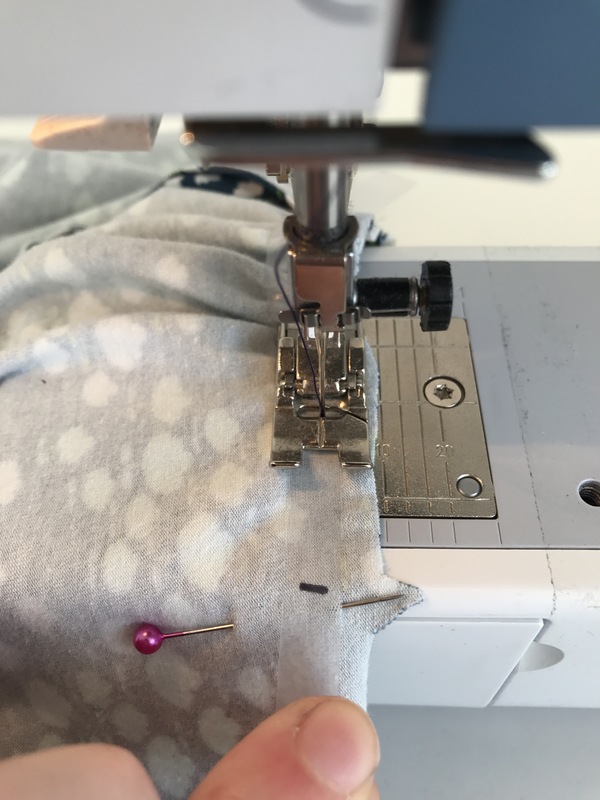 While stitching, stretch the elastic to almost meet the pin. As you stitch, the elastic will stretch a little more and will then result in the marking to meet up with the pin. Try to keep the stitching in the middle of the elastic. 7. 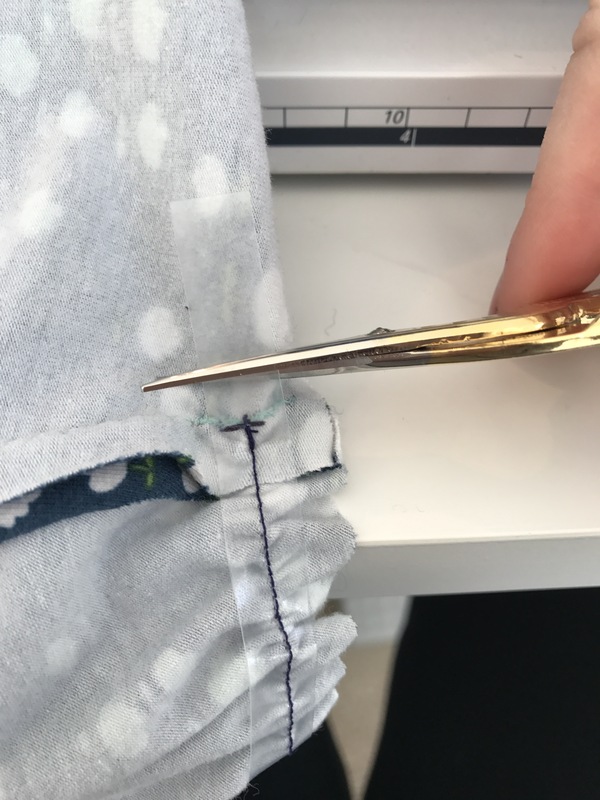 Before completing the waist with the elastic, trim the excess off the start. This will stop it from bulging and being painful when you wear it. 8. Finish the waist line, and trim the excess from the end of the elastic. The skirt will now be nicely gathered and will be at the same length as the bottom of the bodice. 9. Now pin the bodice to the skirt, right sides together, matching the side seams and notches. 10. Stitch using your preferred method. 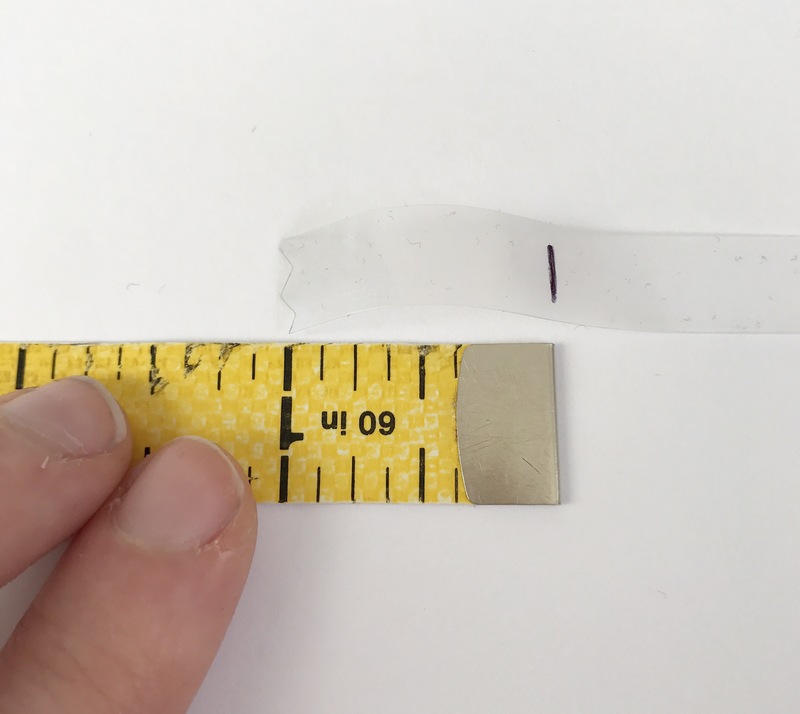 If you are using an overlocker, take care to avoid cutting the elastic with the blade. Now you have a lovely sheared/ gathered moneta skirt! 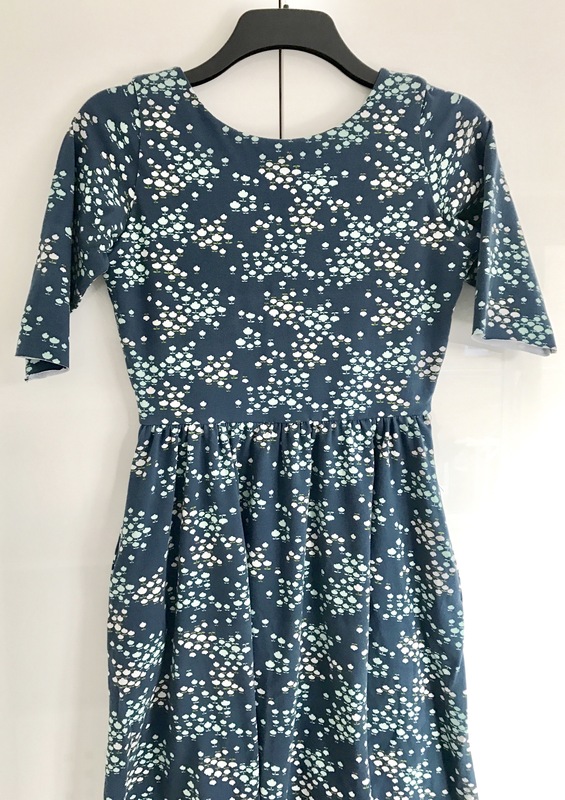 Just the hem to go, and you are ready to wear your moneta!! Hope this has helped. Please feel free to comment if you have any questions. A great tutorial Abi. You have explained the technique really well. Nice one. I have used clear elastic on skirts, but I find it so irritating against my skin that I’ve had to remove it. It wasn’t just at the end, but all along the elastic. Any ideas for how to deal with this? 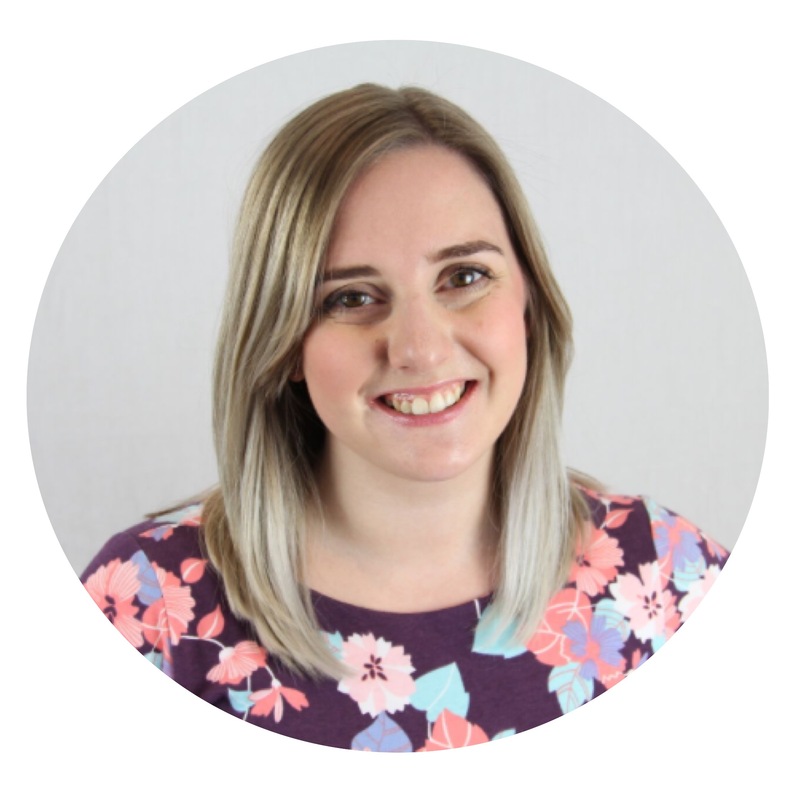 Hi Heather! I completely understand. 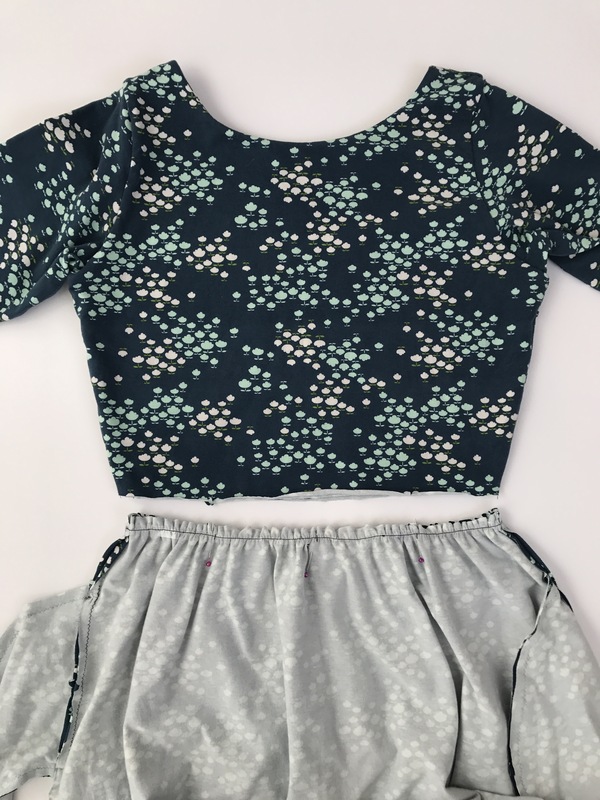 Do you just a normal sewing machine when you attach the skirt to the bodice, or an overlocker? 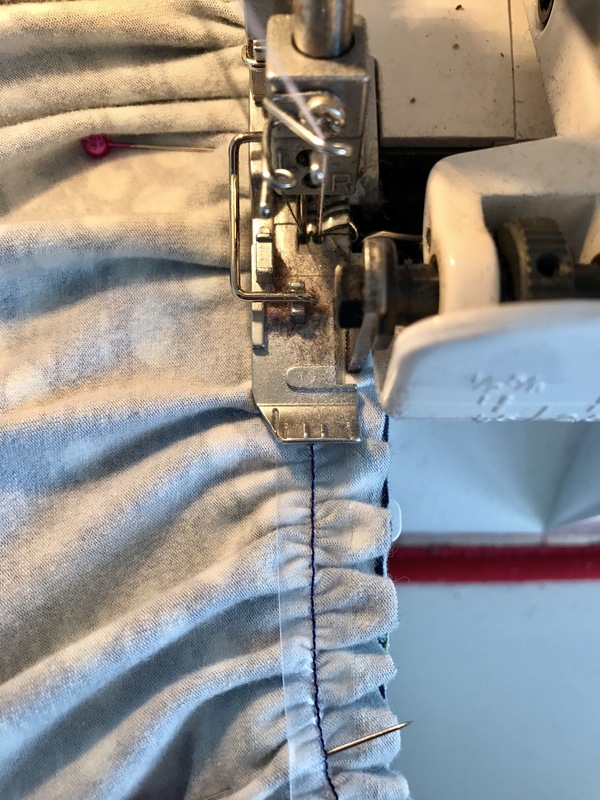 I personally have found that when I use a standard machine it’s really itchy, but the overlocker covers it a lot more so doesn’t itch. This is great. Just what I needed as I start my Moneta! Thanks! Thank you, I love this tutorial it makes the process super clear and I will be bookmarking this for later. Also great choice of fabric I love Art Gallery Fabrics. Lovely, thank you. Very logical and just what I needed to encourage me to give this technique another go. Thanks so much for this! After 3 failed attempts I did it your way and it looks great.